kiss your weekends good bye! I don’t even like carrots…. In the interest of preempting temptation and setting new habits in place we’re been doing a load of cooking at home. In particular preparing meals ahead of time so there is no excuse come lunch to run out for a bite. Besides there’s nothing wrong with investing the time in a new habit. 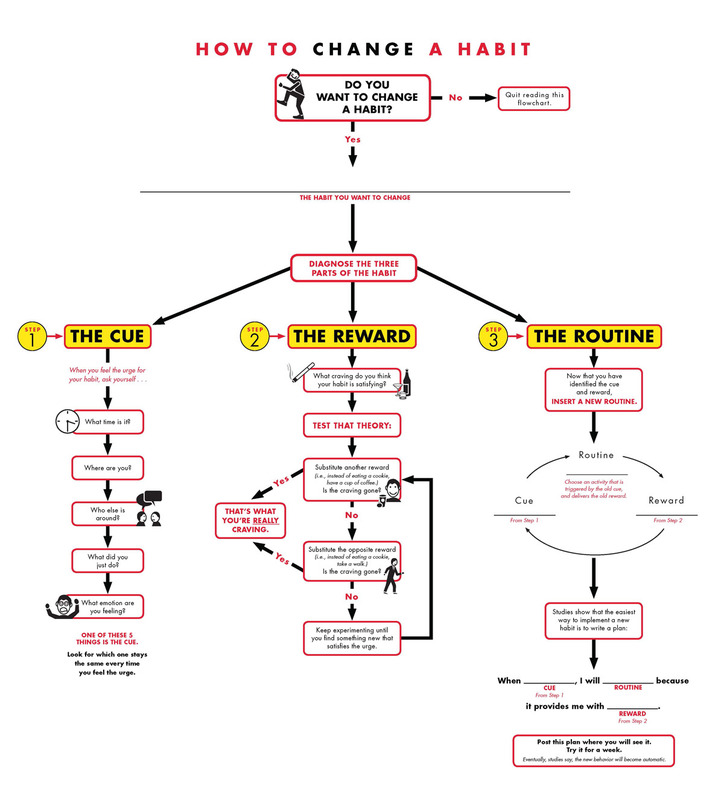 There was a study done at University College London a few years ago that found that there is huge variation in the amount of time it takes to form a new habit. Anything from a couple of weeks up to months depending on the type of habit you’re trying to form and the techniques you use to do so. We’ve set a goal in our house of having a well cooked and thoughtful meal each night. That usually involves an hour of work, and since it takes just as much time to make 4 portions as it does 2 we’ve been doubling up recipes and increasing portions so the work is done for upcoming nights and lunches. Some nights while one meal is cooking I’m also able to prepare another behind the scenes for upcoming days. This Szechuan Carrot Soup is one of those added bonus meals and you can likely throw it together using stuff you already have in the cupboard. It is a cinch to make, and tasted absolutely delicious when we ate it a day later….and I don’t even like carrots. Chop up your onions, celery and garlic. I threw mine all in the food processor and minced it pretty fine. In a large heavy saucepan cook onion, celery, and garlic in veg oil over moderately low heat, stirring, until onion is softened. Peel your knob of ginger, then slice it thinly. I got a great tip from ‘The art of doing stuff’. 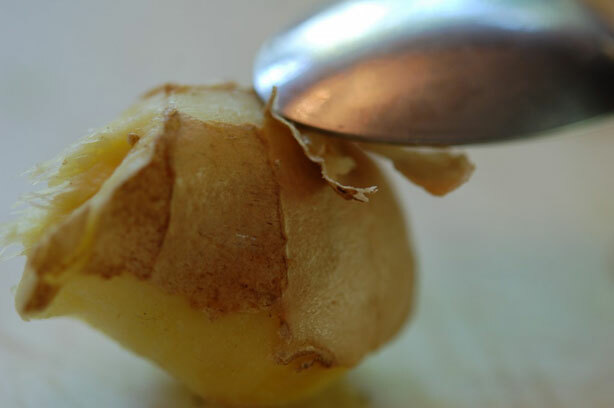 Karen says the easiest way to peel ginger, is to just scrape the skin off with a spoon. and she was 100% correct! Just the brown stuff comes off leaving all the lovely ginger bits behind. brilliant! Add the sliced ginger to the softened onions along with the chopped carrots, red pepper flakes, and broth and simmer, covered, until carrots are very tender, about 30 minutes (until you can run the tines of a fork through one of the pieces easily). 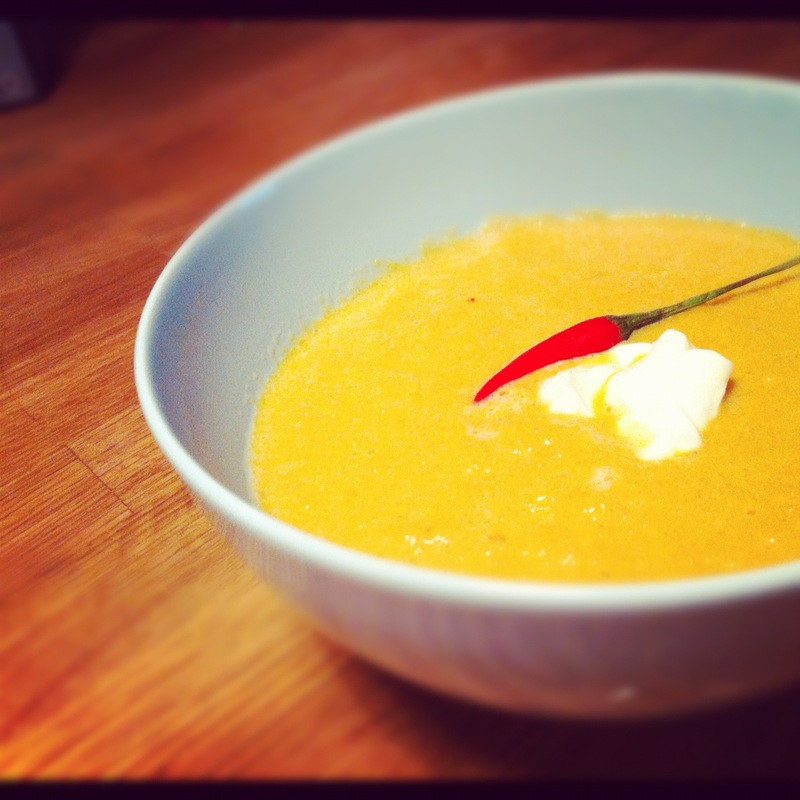 Stir in remaining ingredients and in a blender puree mixture in batches (use caution when blending hot liquids). Return soup to pan and heat over low heat until hot, being careful not to let boil or you will ruin your milk bit. Ladle that good stuff out and add a dollop of sour cream, or plain yogourt to the top, even a squirt of lime juice…though it tastes pretty great left plain too. Makes 6 cups of ‘ready to roll when you are’ soup. The new Goop newsletter showed up today and the subject was How to Break a Habit… or Start a New One . A timely subject as we have been changing our routines and setting about following a different path lately. There’s a portion in the Q&A with Jeremy Dean, the author of the book Making Habits, Breaking Habits, that offers up some great strategies for creating new habits and getting rid of old ones. The fasting at our house was a fight of epic proportions. Sometimes you just have to go cold turkey, pare down your food intake to a few simple components and let your body go through the struggle of giving up old fail safes and bad habits. It’s tough, but eventually as the author says, the new response will take over and you won’t have to tussle with your willpower. Another handy strategy is having a Pre-commitment in place. Jeremy Dean suggests thinking ahead to times when you’re going to be tempted to follow your old habits, and create a plan for committing yourself in advance to your new habit. This is one time where it is OK to rehearse calamity! When you’re feeling strong, you make a decision so that when you’re feeling weaker and more susceptible later, the temptation will be gone. If you’re trying to cut down on tv, put the remote out in your glovebox. It’s not a forever strategy but until the new habit has been created it’s a great way to not loose that hard fought territory. 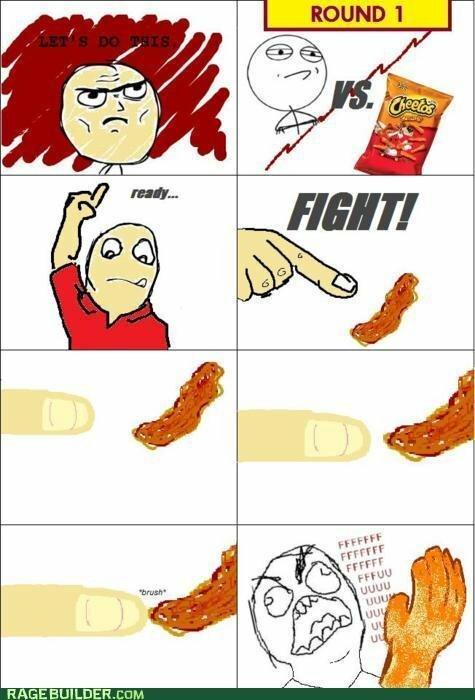 You’d be amazed how much weaving cuts down on the snacking, kinda hard to justify orange tainted cheezie fingers all over those beautiful threads, ha. Check out Tiny Habits w/ BJ Fogg. You pick 3 tiny habits you want to start and for the next 5 days you will get a daily email and reminder from this Standford PHD. It’s super easy to follow along, and the joining the online program is free. Yup, emailing you out of the good of his heart…This TED Talks alumni just wants to show you how easy it can be to make a change become habit. It’s a very interesting approach to making small and realistic changes. Registration starts every Friday! Let’s do it!